One common “problem” as a business owner is that you have the potential to be “on” at all times. Since you are obviously in charge of many to-do’s and tasks for your business, YOU are the one that needs to get the stuff done. The world around you doesn’t stop so you might feel like you can’t stop either. I have supervised so many private practice professionals who have told me they can’t take time off. 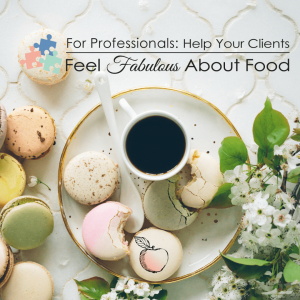 Whether their clients need them for appointments, or projects have deadlines that can’t be pushed back, many felt they could not take time away from their business. The problem with not taking a break is that you and your business will slowly get burnt out. It won’t happen overnight, but a slow and steady resentment toward work will start to build. You may not feel as excited about work, or maybe you begin to feel overwhelmed. You might find yourself avoiding tasks and to-dos and procrastinating projects. YES this happens to everyone, including me! I know myself and my business well enough now, that I know I need to step back when I get this feeling. However, what can start to happen is you might feel like “stepping back” makes your life even harder in the long-run. If you skip two weeks of work now, you will work until 10:00pm every single night when you get back. Or maybe you will check your email a few days into vacation and then feel too overwhelmed and annoyed with all the work “back home” to actually have fun. I have been there and have learned (the hard way) how important boundaries are when you are officially “taking time off”. It seems like a lose-lose situation when it should be a win-win, but here is how you can make taking time off possible. Schedule your time a few months in advance. Do not plan projects deadlines, launches, or anything(!) around this time or for two weeks after your vacation. Let your clients know a month in advance you will be “off” during this time and give them one last reminder the week before you leave. Setup an “out of the office” auto message on your email, stating you will respond to messages when you return and a reminder of that return date. Change your voicemail to reflect that you are out of the office and will return calls the day you return. Give yourself a “grace day” the first day you return to work. I like to schedule a few hours on my calendar and call it “catch up” the day before I am officially “back to work” from a vacation. That way I can start again refreshed and ready to go. I promise you, taking time off works. Some of my best ideas have come to me after a vacation or a trip. It’s so good for your mental health to get away from your business, take a break and make time to think outside the box. We are sharing what we are doing on vacation on my Facebook Page, so if you want a little inspiration from others, click here and check them out and share what you do for vacation time in your business!